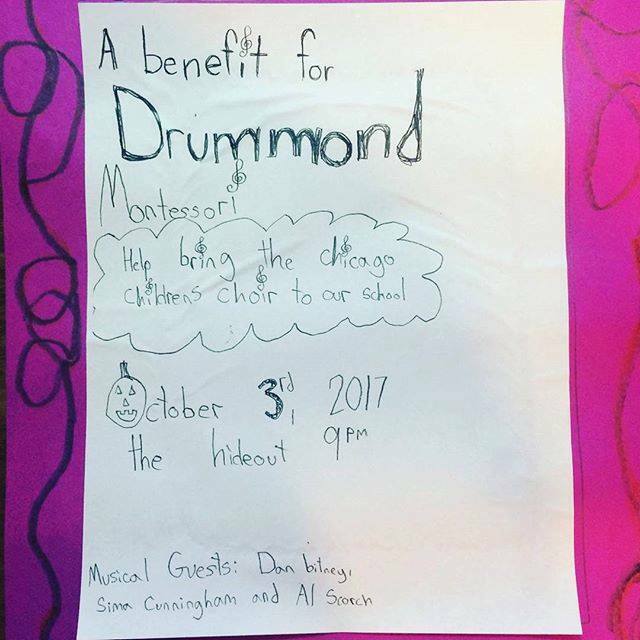 Playing at a Benefit for Drummond Montessori School 10/3! I’m excited to be playing a benefit show with Dan Bitney and Sima Cunningham this Tuesday, October 3rd, at The Hideout. Our goal is help bring the Chicago Children’s Choir to the school. You can grab tickets here.